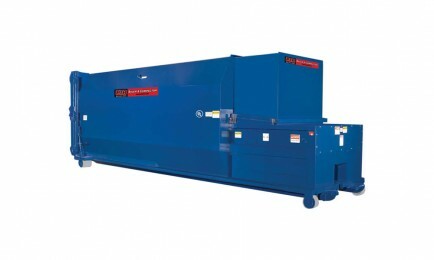 This compactor is made of heavy duty structural steel with side channel reinforcement. Dual or single cylinder designs are available. Our clean flush sump system with trash flow coordination is designed to allow liquid to exit the area behind the platen. The liquid discharges at the landfill, in effect flushing the 750 gallon sump system.